In the past decade construction and engineering have changed dramatically, with an explosion of innovative new approaches to construction and new methodologies. By bringing together economic, social and construction/engineering management perspectives, this book offers a unique and comprehensive survey of these approaches and techniques. It presents a history of studies in innovation in construction and engineering, and then presents the most recent models of innovation brokering and risk-management, based on complex project-based industries. Innovation is defined and competing theories are discussed in the light of operational issues. 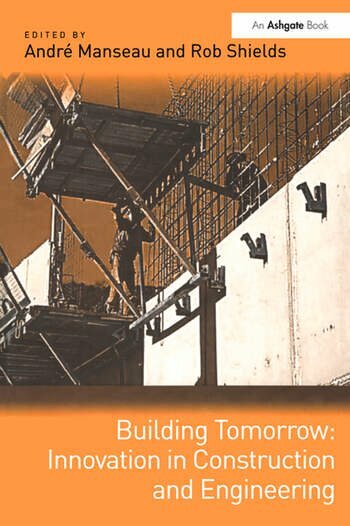 The book covers all aspects, including the importance of construction and engineering 'cultures' in the trades for successful project innovation. It also discusses the role of government and policy makers, the implications of rapid change for the building trades and skilled labour, and the difficulty of measuring innovation quantitatively. Contents: Preface, Sherif Barakat; Introduction, André Manseau and Rob Shields; A survey of the construction innovation literature, Rob Shields; Construction - a changing industry challenging current innovation models, André Manseau; Redefining innovation, André Manseau; Measuring innovation in construction, Frances Anderson; Managing complex connective processes - innovation broking, Graham Winch; Strategic management of major complex construction projects, Roger Miller and Serghei Floricel; The government role - from market failures to developing social capital, André Manseau and Elisabeth Campagnac; Construction industry paradigm: the final frontier, Andre Dorée and Frens Pries; Skilled labour and innovation, Rob Shields; Conclusion: a roundtable on construction innovation - how to make it work?, André Manseau and Rob Shields with Contributors and Invited Experts; Index. André Manseau is based at Université de Québec Ã l'Outaouis in Quebec, Canada. Rob Shields is based at the University of Alberta in Canada.